Dead Trigger 2 has been around for quite some time now. After all these years, it’s still one of the best mobile games that you can get – especially if you count the fact that it’s free to play. It has amazing graphics, smooth gameplay, and storytelling, and it’s one of the very few games that really bring the horror experience to the mobile world. So, with all of that being said, for those of you who didn’t have the chance to play it yet, let’s check it out! 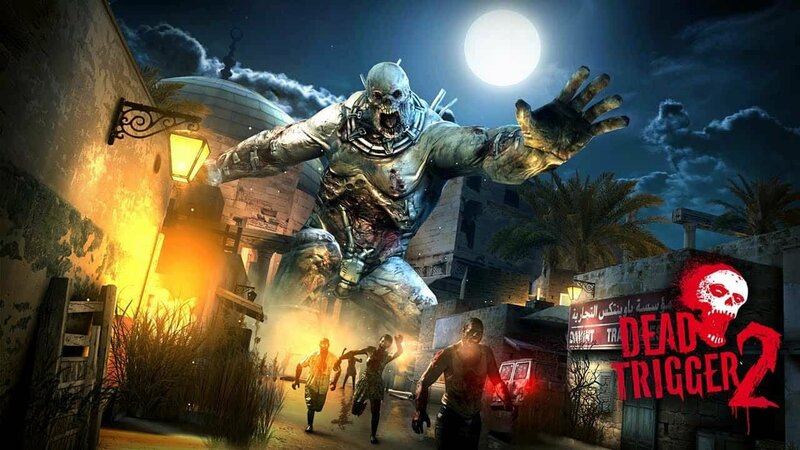 Dead Trigger 2 is based on a zombie apocalypse world. The main concept is to survive through all of that mess along with any other survivors that you may find. The plot mostly consists of finding survivors, escorting them to safety, protecting them along with yourself, and repairing stuff. So, it sure gets a bit repetitive eventually. With that being said, the different characters, occurrences, and slightly different tasks that you’ll get will most likely keep you busy and interested. Though, don’t get your expectations too high. While there is a bit of storytelling and character dialogues, they both just feel kinda shallow, cliche, and pretentious. And that is, without a doubt, immersion breaking. After all, the voice of the main character is several times more pretentious and “rough” than Snake at Metal Gear Solid 3. Not to mention that the dialogues are kinda weird, to say the least. What is that? As far as dialogues go in video games, Dead Trigger definitely falls short on that category. So, there is a plot, there are characters and dialogues, but everything just feels a bit too cheap. But, what about the other aspects of the game? Let’s find out! Both the gameplay and the core mechanics are fairly simple. For the most part, it’s just point and shoot towards the zombies. Sometimes you’ll have to use grenades, health kits, and stuff like that. Sometimes also heavy machine guns. But, for the most part, it’s just point and shoot with your melee or ranged weapon of choice. Other than that, sometimes you also have the choice of using wooden planks to block the zombies from coming all at once at you. Though, if you’re playing on the medium difficulty, chances are that you won’t have to. Speaking of difficulty, if you’re a seasoned gamer, then do keep in mind that even the hardest difficulty will appear somewhat easy for you. Or at least it was for us. However, the bosses are definitely a bit more interesting. Instead of blindly charging at you, the bosses have at least two attack patterns where they’ll change their behavior depending on if you’re playing melee or ranged. Still, at the end of the day, dodging and shooting will be all that you’ll have to do to win. And once again, if you’re experienced with shooters, then that applies to the hardest difficulty as well. The graphics are not bad at all. The model textures will take you back to the PS2 era. Which, again, is not that bad for a mobile game. If you look at the image above, you’ll notice that while looking at the Titan upclose, he definitely looks a bit more blurry and less detailed compared to when he is far away. That probably had to be done for optimization. But, the reflections and the environments definitely feel more detailed and alive. Definitely closer to what older consoles like the PS3 can achieve. And you also get to choose between 30 or 60 FPS depending on how powerful your device is. With that being said, we used a Snapdragon 636 device to run this game with 3 gigs of RAM. To the massive surprise of, well, nobody, we could easily achieve the 60 FPS mark. After all, this is a rather old game. But, what really surprised us, is that we experienced major frame drops in open spaces with lots of reflections. Usually where there is a lot of water on the road. This may be due to the fact that this game is not really optimized for newer chipsets. Still, turning down the settings to the medium seemed to solve any lag issues that we experienced. We’ve probably mentioned this before, but we’d really love to see more games that offer the 60 FPS option. It’s way more fluid than 30 FPS for sure. The controls are as classic as they can go – nothing too fancy there. 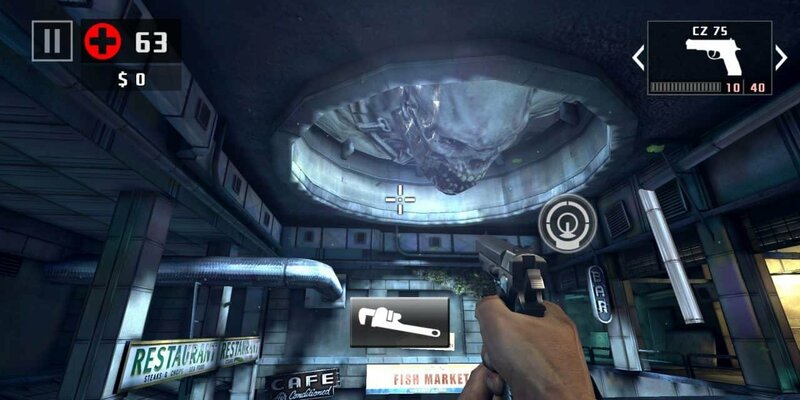 A movement joystick, automatic shooting, weapon switch button with the reload button embeded on it, along with any extra utilities that you may have like grenades and health kits. The reward system is also very simple – the higher you set your difficulty, the higher the amount of money that you’ll receive. You receive money by logging in daily and completing main or side objectives. 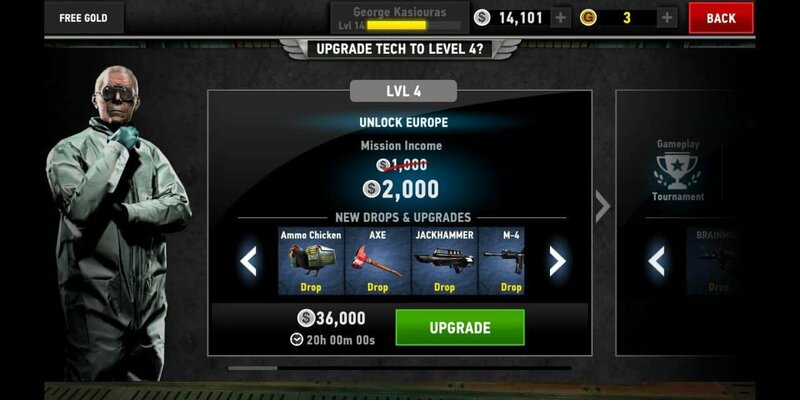 You can use all that money to upgrade your weapons, get new ones, or you can also upgrade your characters for unlocking more options. And do keep in mind that you’ll be forced to upgrade certain characters – like the technician. If you don’t upgrade your technician, you won’t be able to progress through the main story. And that’s kind of a bummer really. If all you want to do is play the main campaign without much else, then you’ll have a rough time for sure. For some reason, the game delays your main progression through the story by any means possible. You just completed a main mission? Wait 20 minutes till you play the next one. Wanna move on to another region? Upgrade your technician and wait for another 20 hours. Not to mention that gathering the required money to upgrade your technician essentially gets really tough. You are kinda getting forced to play side missions or replay your older main missions in order to gather that money. And why is that? Well, our best guess is that the game tries to push you into buying in-game currency with real money. First of all, why is is that we have to wait before moving on with the main story? This is a huge deal breaker for those who are here simply for the plot. Because of that, you either have to simply wait before moving on or just go play side missions to pass your time. Speaking of side missions, this is the second complain that we’ve got. Side missions are supposed to be exactly that, on the side. You shouldn’t ever be forced to complete a side objective in a game and that’s exactly why they are called side objectives. But, that’s not the case with Dead Trigger 2. In this game, you’re pretty much forced to play the side missions to get extra money for upgrading your characters and progressing with the story. Dead Trigger 2 adds fillers to the game but it does it in a subtle way. Again, we don’t know the reason behind this, but our best guess is because of profit. With this method, you’ll be forced to either play longer than you’d normally have to or buy in-game currency to advance through the main story without playing side missions. In both of these cases, the developers are the only ones who get some sort of benefit. 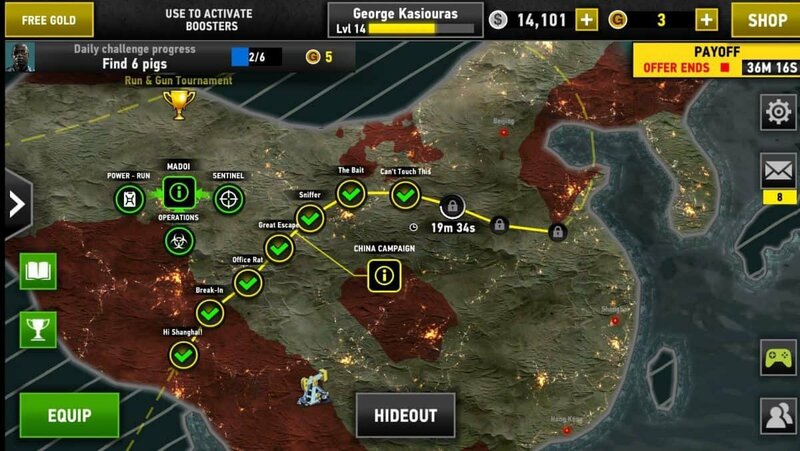 If you play the repetitive side missions, then you’ll end up watching more ads. If you buy in-game currency, then you’ll be directly paying for advancing the game. 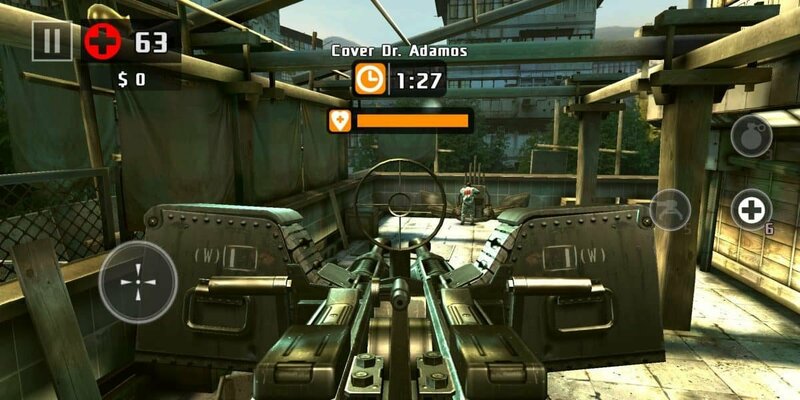 We’ve said this before, but this is a bad way for monetizing a free to play game and Madfinger has done this before with Shadowgun DeadZone as well. To all the developers out there: if you wanna monetize your free to play game, try doing it only by using ads and cosmetic items without touching the main game. At its core, Dead Trigger 2 is made to get as much time and money from its player base as possible. But, that doesn’t change the fact that the gameplay is terrifying and awesome at the same time. If you can’t stand the repetitive side quests and the waiting times, chances are that you’ll have to pay a little something to get ahead and that’s truly a shame. With all of that being said, we still recommend giving Dead Trigger 2 a go. And if you can’t handle the sort of pay-to-win mechanics that it has, then you can always check out more of our recommended games to find something that suits your needs.